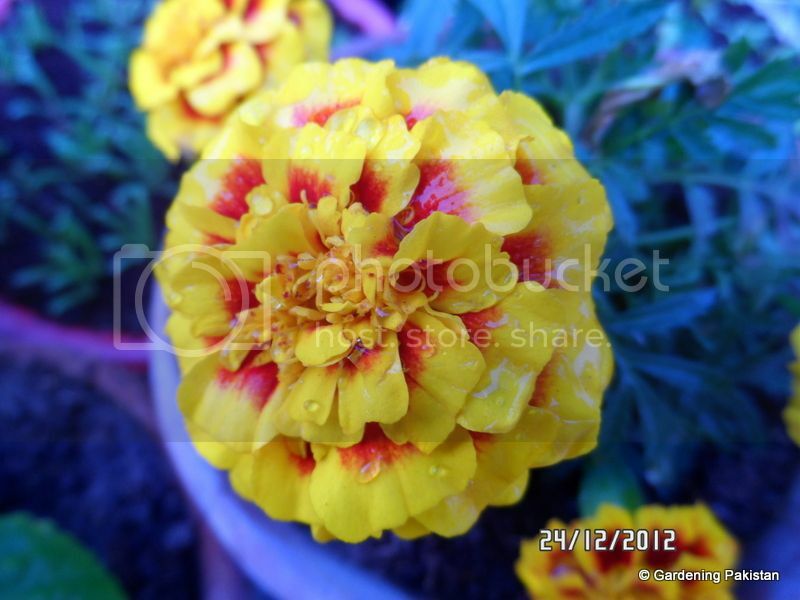 Other Details French marigolds comes in many varieties in colors from yellow and gold to orange and red. Flowers may be a single color or bi-colored in small single blooms to larger semi-double or double blooms. French marigolds (Tagetes patula) only grows to about 12 inches tall..Used mainly as an edging plant on herbaceous borders, it is a low-growing plant with flowers of blended red and yellow in most varieties. 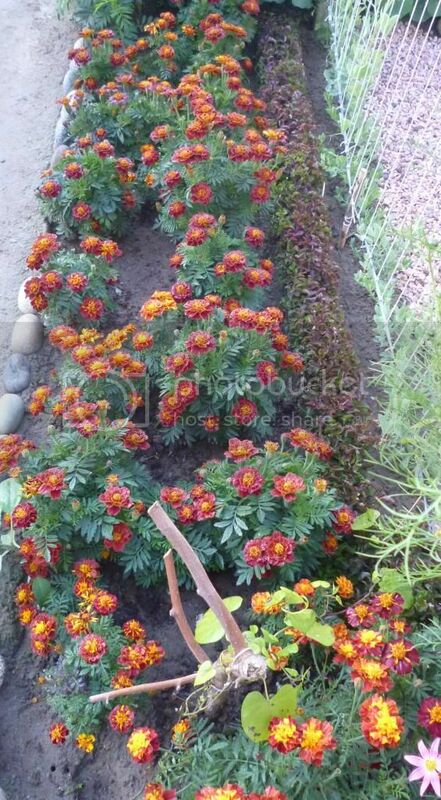 French marigolds are commonly planted in butterfly gardens as a nectar source.Deadhead to prolong flowering. Pinch to keep bushy.Marigolds thrive in any soil type as long as it drains well. These prolific bloomers make good container and window box plants. You can fill in flowerbeds or use French marigolds as edging for a flower garden. Because they're low-growing, French marigolds are versatile enough to line a pathway or walkway. 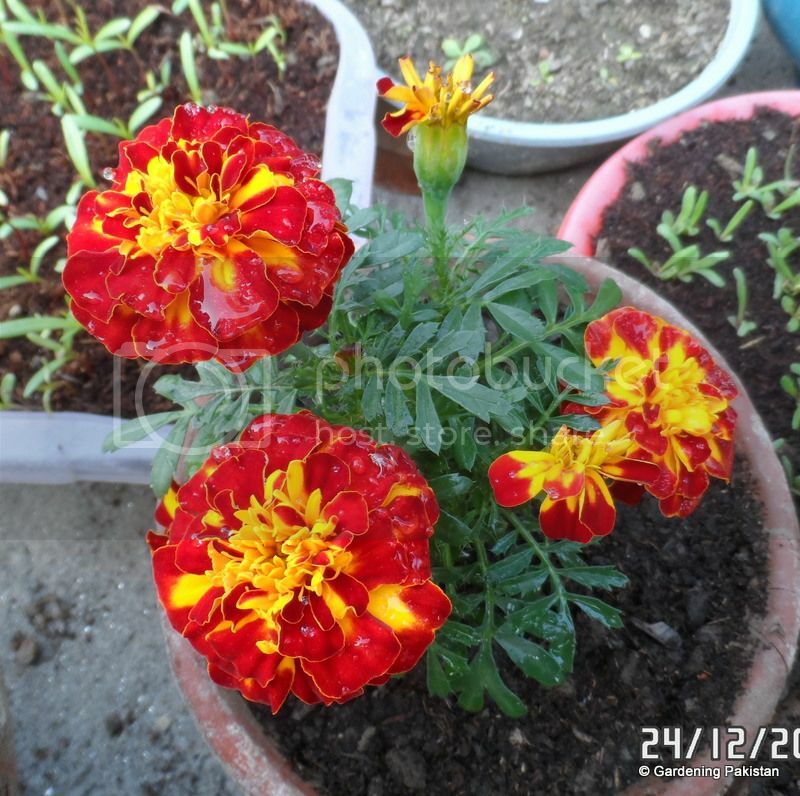 A French marigold prefers full sun to bloom continuously. They will have far fewer blooms if you plant them in a partially shaded area. Space marigold plants about six to eight inches apart in all directions. This spacing allows the plants enough space to grow and fill the area between plants so there are no bare spots. 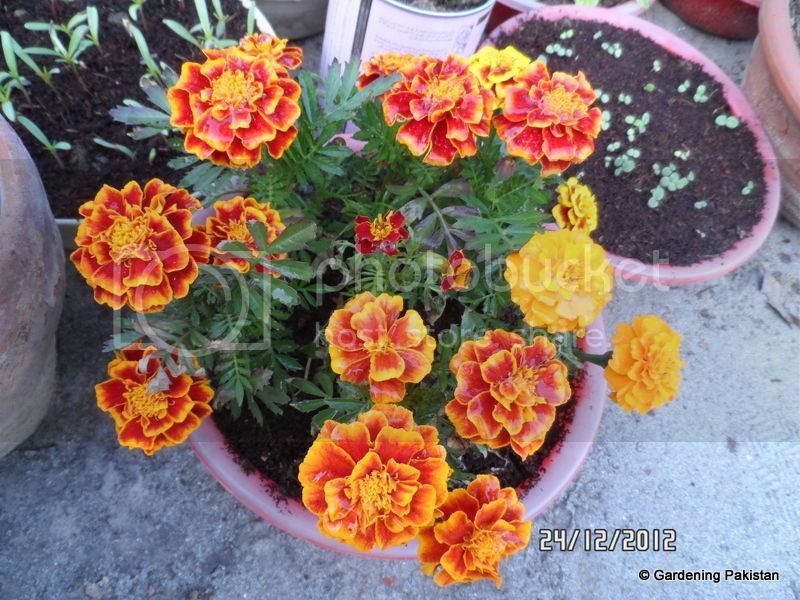 French marigolds are hardy and are not bothered by most diseases and insects except in dry conditions. 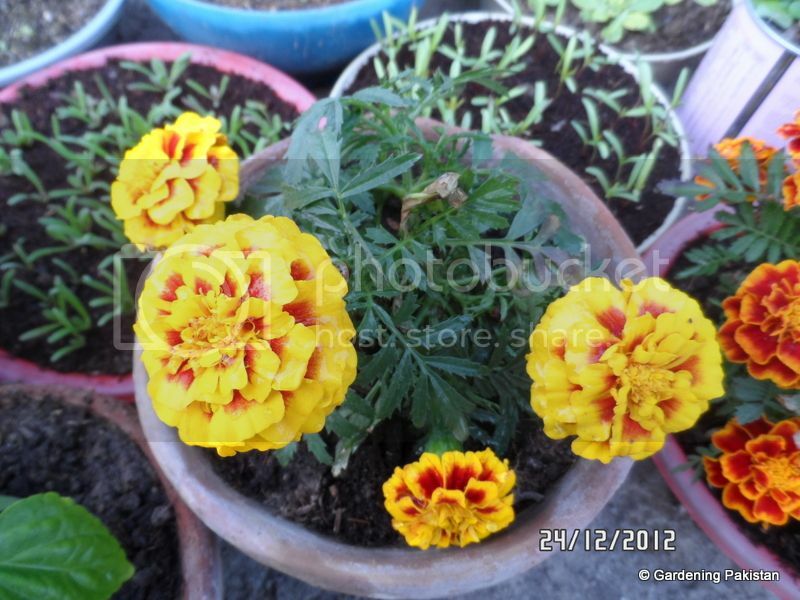 You can water marigolds from above with a garden hose to wash most pests away. Marigolds should never be planted along legume family (such as sweetpeas) as Marigold roots release an enzyme which restricts growth of legume family plants. Seeds surface sown perform better. Seeds come true, However the subsequent generation will have a taller plant. For F-1 planting distance 6-8 inches. For F-2 & so on about 1 Foot. One of my most favorite annual group.Only spider mites are the big threat.In some areas slugs also damage this beautiful annual.What i like is that it flowers in those months when you don,t have so many other annuals to flower in your garden. Can its seeds be grown in late november? Yes Miss Farah you can plant the seeds now... flowering will be delayed till early spring i.e. February. Such beauties. Are they Hybrid or are naturally present? What is the ending month for these beauties in Karachi?